Another day, another mind-boggling request from a bride-to-be doing the rounds on social media. 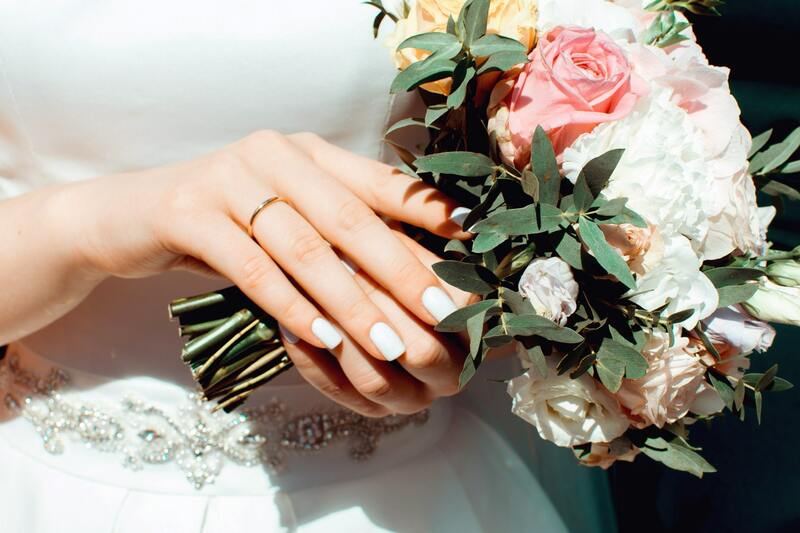 This time, people are outraged over a bride&apos;s dress code requirements for her big day based on her guests&apos; weight. "The dress code is very specific because it will be used to create an incredible visual effect," reads the now-viral note. Her guests have been given a year and a half to find a suitable outfit for her Hawaii 2019 wedding, as &apos;if done right it will make our synchronised dancing along the beach really pop&apos;. Women around 11 stone and under should wear a green velvet sweater, orange suede pants, Louboutin heels and a Burberry scary. Women who weigh over that figure are lucky enough to avoid that monstrosity of an outfit, and have to wear all-black trousers, jumpers and shoes. Men under 14 stone will have to wear purple fuzzy jackets, soda hats, all white trainers and plain glow sticks. Over that and they&apos;ll need to be dressed head-to-toe in camouflage with black trainers. 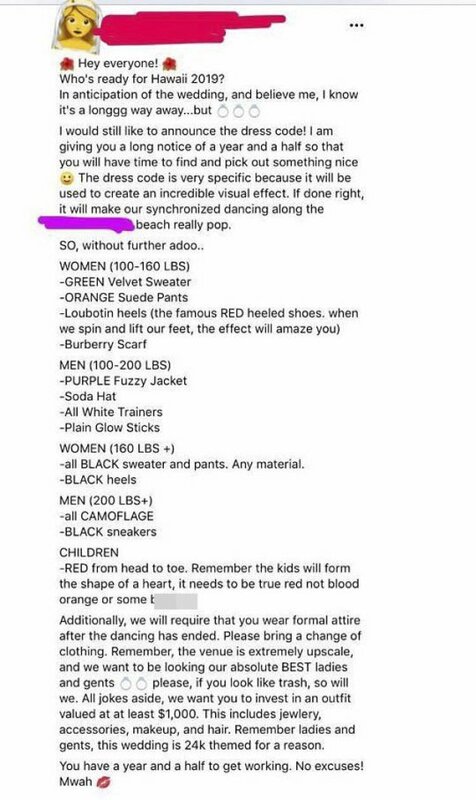 Any kids attending will be forming the shape of a heart in the dance, so they&apos;ll need to be dressed in true red clothes (don&apos;t even consider wearing &apos;bullsh*t&apos; blood orange!). After all the excitement of synchronised dancing on the beach, guests need to bring a change of clothes for the reception. And because of the "extremely upscale venue", guests are expected to spend around $1,000 (£780) on their outfit. She ordered: "Please, if you look like trash, so will we. All jokes aside, we want you to invest in an outfit valued at at least $1,000. This includes jewellery, accessories, makeup and hair. Remember ladies and gents, this wedding is 24k themed for a reason. "You have a year and a half to get working. No excuses! Mwah." The hard-to-believe demands were first posted in a Facebook group, and unsurprisingly the list is now doing the rounds on social media outraging anyone who stumbles across it. Pre：Kareena Kapoor Khan had a fun weekend playing dress up, what about you?